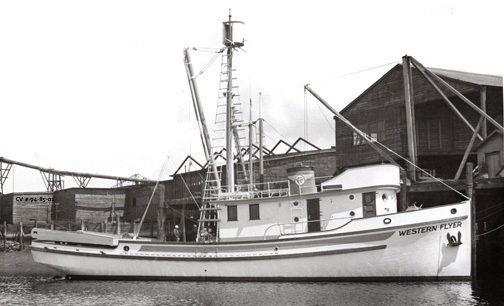 The Western Flyer: Steinbeck’s Boat, The Sea of Cortez, and the Saga of Pacific Fisheries. By Kevin M. Bailey. The University of Chicago Press, 2015. A rich blend of philosophy, ecology, history, and first-rate literature lies behind the unassuming title for The Western Flyer: Steinbeck’s Boat, The Sea of Cortez, and the Saga of Pacific Fisheries. 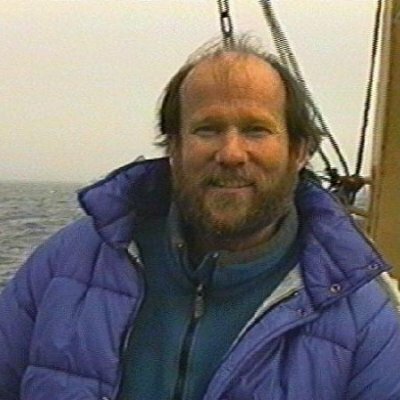 Writer and marine scientist Kevin Bailey uses the odyssey of the Western Flyer to illustrate the exuberance that accompanies the exploitation of a newly discovered fisheries resource, the all-too common depletion that ensues, and the ongoing struggle to exploit natural resources in a sustainable way. “with colored streamers set high and snapping”, to the Port Townsend dry dock where her worm-infested hulk lies in state, the Western Flyer was fated to participate in one poorly managed fishery after another. Sardines off California, Pacific ocean perch off Washington, and finally king crab off Kodiak. She ended her active days as a salmon tender in Puget Sound, and after a prolonged period of neglect she suffered two dockside sinkings. Legendary skippers like the pioneering Dan Luketa and the fearsome Jackie Ray (who actually sported a hook at the end of one arm) ruled the Western Flyer’s wheelhouse over the years, and she was manned by a colorful array of deck hands and hard working fishermen. Yet for a few brief interludes she saw service as a research vessel and scientists like Colin Levings and Ed Ricketts walked her decks. 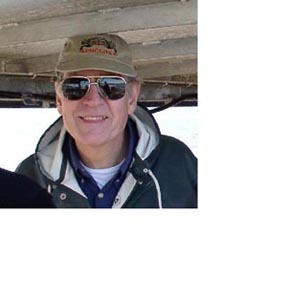 Levings participated in surveys that helped to save the halibut fishery from depletion. The iconoclastic Ricketts was a pioneering ecologist, and the model for “Doc” in Steinbeck’s Cannery Row. Four weeks in the spring of 1940, when John Steinbeck—an accomplished naturalist in his own right—chartered the Western Flyer for an expedition to the Sea of Cortez, would destine her for a permanent place in history. It was during this voyage that Steinbeck and Ricketts carefully documented the fauna of the Sea of Cortez, and elaborated their philosophy of the unity of mankind with the universe in general, and the earth’s ecosystems in particular. Steinbeck’s Log from the Sea of Cortez was the most notable product of this collaboration, and Bailey correctly orients it as a pioneering work in the canon of ecological holism, together with those of John Muir and Aldo Leopold. “It is advisable to look from the tidepool to the stars and then back to the tidepool again.” wrote Steinbeck and Ricketts. In Log from the Sea of Cortez, Steinbeck wrote “The true biologist deals with life, with teeming boisterous life, and learns something from it.” And so he did—in collaboration with Ed Ricketts. Steinbeck observed that fish schools “turned as a unit and dived as a unit. In their millions they followed a pattern minute as to direction and depth and speed. There must be some fallacy in our thinking of these fish as individuals.” “And this larger animal, the school, seems to have a nature and drive and ends of its own accord. It is more than different from the sum of its units,” and seemed to be “directed by a school intelligence“. In Bailey’s words, the Japanese fishermen “…knew what they were doing was wrong, but they did it for the sake of the superorganism, the industrial company.” Fishermen, fishing vessels like the Western Flyer, corporations, resource management agencies and even economies can be viewed as nested superorganisms existing within the ecosystems that support them. Each of these groupings can thrive only if those ecosystems do. Yet the record of successfully sustaining those ecosystems is a checkered one, with many natural resources suffering the same fate as those exploited by the Western Flyer. Bailey uses the Western Flyer’s current condition as a metaphor for the hulk that the once prosperous Pacific Salmon resource has become—so badly damaged that the costs of repairing her may be prohibitive. While Alaska salmon have been managed properly and continue to support vibrant commercial fisheries, the costs of rebuilding salmon resources in Washington, Oregon, and California will be enormous and we may not know how to accomplish this. Will future generations simply write them off? The final pages of this book are lyrical prose at its finest, and almost seem to channel Steinbeck. The Salinas valley that Steinbeck loved so deeply seems to become a living, breathing organism. Bailey suggests that it is perhaps here that the Western Flyer should spend its final days—an icon high on Mount Toro, “witness to the fog drifting in and out of the valley”, a ghost ship with her ribs “sounding out in the wind”. How appropriate. The Western Flyer testifying to lost resources, lost opportunities, and mankind’s conflicting roles as both exploiter and shepherd of the earth’s natural resources. Bailey has found poetry in this. This entry was posted in California sardines, Environmental History, fisheries science, Fishing, History of Science, Maritime History, Ocean fishing, Overfishing, Pacific Fishing History Project, Rosefish, Sebastes rockfish and tagged Cannery Roy, Ed Ricketts, John Steinbeck. Bookmark the permalink. 1 Response to The Western Flyer: Steinbeck’s Boat, The Sea of Cortez, and the Saga of Pacific Fisheries. Check this out if you’re a Steinbec/Ricketts fan.